Tip: Children under 16 and most children age 16 and 17 must renew their passports in person using Form DS-11. Pay your fee in US funds by personal check or money order. Be sure to use a large envelope to send your passport renewal package. The US Department of State encourages use of larger envelopes, not letter-size envelopes, so that you do not have to fold any of the forms or documents you are submitting. Because you will be sending your current passport through the mail system, the State Department strongly recommends that you pay extra for delivery tracking service when submitting your renewal package. If you need your new passport even more quickly, you can make an appointment for passport renewal at one of the 13 Regional Processing Centers. To make your appointment, call the National Passport Information Center at 1-877-487-2778. Your departure date must be less than two weeks away – four weeks if you also need a visa – and you must provide proof of upcoming international travel. In cases of life or death emergencies, you must call the National Passport Information Center 1-877-487-2778 to make an appointment. You can still renew your US passport by mail, as long as you can document your name change. Enclose a certified copy of your marriage certificate or court order with your renewal forms, passport, photo and fee. This certified copy will be sent back to you in a separate envelope. On form DS-82, check the box at the top of the page that says, "52-Page Book (Non-Standard)." 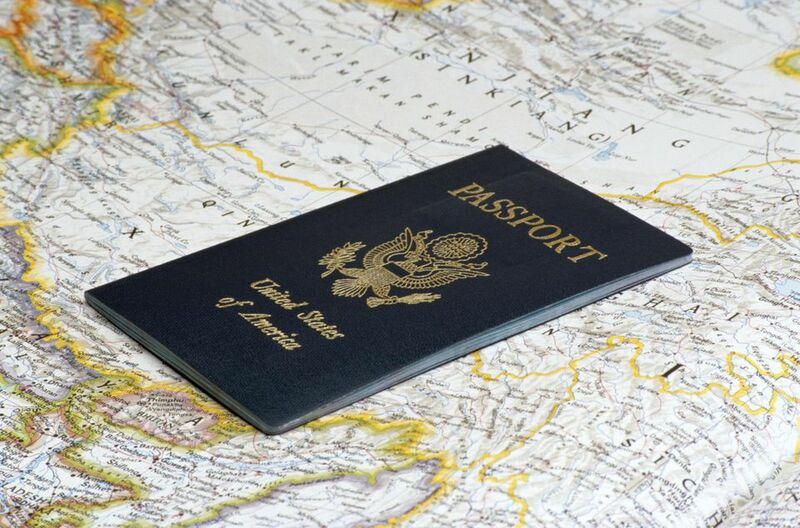 If you travel abroad frequently, getting a larger passport book is a good idea. There is no additional fee for a 52-page passport book. You may only apply for passport renewal in person if you live outside the US. If this is your situation, you'll have to go to your local US embassy or consulate to renew your current passport, unless you live in Canada. Call your passport acceptance facility to make an appointment. US passport holders who live in Canada should renew their passports by mail using form DS-82. Your payment check must be in US dollars and be from a US-based financial institution. According to the State Department's website, passports cannot be mailed to addresses outside the US and Canada, so you will need to provide a good mailing address and make arrangements for the passport to be forwarded to you or plan to pick it up in person at your consulate or embassy. You should send your renewal package to your local embassy or consulate, not to the address shown above. In a few countries, such as Australia, you may be able to send a postpaid envelope with your renewal package and have your new passport delivered to your local address. Consult your embassy or consulate for details. If you are renewing your passport in person, you will need to follow the passport application procedures established by your local US embassy or consulate. Most embassies and consulates will only accept cash payments, although a few are equipped to process credit card transactions. Procedures vary by location. You will probably need to make an appointment in order to submit your renewal package. The Department of State will send your passport via overnight delivery if you include the $15.45 fee with your passport renewal form. Overnight delivery is not available outside the US or for US passport cards. The passport card is a useful travel document if you travel frequently to Bermuda, the Caribbean, Mexico or Canada by land or sea. If you hold a valid US passport, you can apply for your first passport card by mail as though it were a renewal because the Department of State already has your information on file. You can hold a passport book and passport card simultaneously. You must renew passport cards by mail. Don't Wait to Renew Your Passport - or It May Not Arrive for Months.